Jawarharlal Nehru had said that dams are the temples of modern India (a saying that he regretted later on). Added to that India is now an emergent rich corporate country, with the largest slums in the world. So is it a surprise that they are so keen on proceeding with Tipaimukh Dam, so that the existing disparity between the powerful (rich industrialists) and powerless (people living on the margins, like farmers and tribal communities) grows a little wider? Words such as 'development' and 'progress' get thrown at us when a new industry towers up, a new dam gets built, a new car gets imported to congest Dhaka a little bit more, a new supermarket sprawls out and a new pigeon hole apartment is erected that casts down shadows on us. What we fail to notice is how the definition of development and progress has been standardised to force fit one single hegemonic ideal or way of living of the rich and powerful, and how in the name of development and progress we get an excuse to stop thinking about things like environment, ethics, integrity, humanity, economic inequality and inaccessibility, culture, roots and heritage. It is important that sometimes we stop and take a look around at the day to day seemingly normal occurrences and incidents and question the natural and logical system, which is not natural and logical after all. Once you notice and realise, you do something, because even your silence is equally political and economical as your voice. A student volunteer documenting a heritage site. Students have started to understand the perils of staying quite, because the economy of the country has been in danger for a long time. It is now that the youth have started to realise that they can do something, and it does not need to be a grand gesture. Even the tiniest of efforts count in these desperate times. That is what some students have proven as they worked with Urban Study Group (USG) and contributed their time, energy and passion to save some worn out heritage sites in Puran (Old) Dhaka from getting demolished by greed and bulldozers. 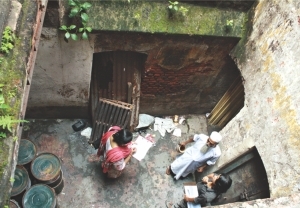 USG is a non-profit organisation , campaigning for the conservation of the Architectural /Urban Heritage of Puran Dhaka. 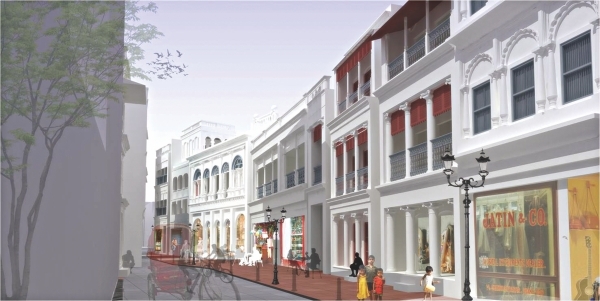 What started as Save Shakhari Bazaar in 2004, is now called Save Puran Dhaka. Its mission is to develop a social movement that will not only protect the rich Architectural Heritage of Dhaka City but initiate a Sustainable Urban Development Process, which will be centered around the Cultural and Natural Heritage of Bangladesh. Students doing surveys at heritage site. “From the very beginning, we have had the support from students. Their involvement has been a big source of inspiration for us. The way they have worked with us between classes and semesters is worth mentioning. When others enjoyed semester breaks, these student volunteers came and worked for us, especially over the last one year. 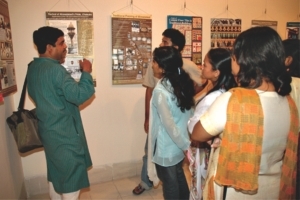 In June this year we organised an exhibition where we showed the 3D restoration of the heritage buildings of Old Dhaka. We got help from students of BUET, BRAC, NSU and Jagannath University. There are so many economic benefits of preserving these historical sites. Not only that, but also they have so much to teach us. We need to save them for the future generations too. The heritage sites give us pride and self-esteem. There is enough awareness among students already about the importance of the sites. My volunteers were more emotionally involved with the campaign. They even faced a lot of hostility from the people of Puran Dhaka when they worked there. We have to face developers, businessmen and government to save these heritage sites from getting demolished because it is important to protect them” says Taimur Islam, Architect CEO and team leader of USG. 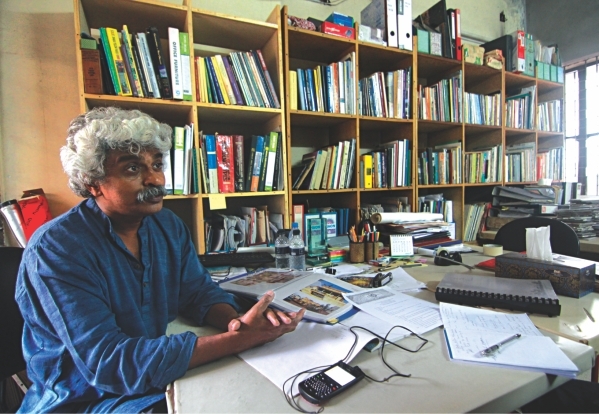 “I do walk campaigns for heritage conservation, which takes place on weekends in Old Dhaka. When Raja Rammohan Roy library was being demolished (permission given by RAJUK), I took pictures and immediately sent them to Taimur sir. We made a GD at the police and also went to the court. The demolition was stopped. I also love giving tours in Old Dhaka to people who come from abroad, because it's important that people outside our country know about the heritage sites of Bangladesh,” says Md Emran Hossain, recently completed his masters in Political Science, Jagannath University. “I find the whole idea of roaming around on the narrow streets of Old Dhaka and working for the conservation of the heritage sites fascinating. I was very involved with the exhibition that took place this year. We worked when we had classes and also during our breaks. The two main activities that we had to do were surveying and documentation. For surveying we had to locate the heritage sites on maps. We got G15 maps from Taimur sir's office. We had to situate the buildings from different timelines such as the Moghul time, the British rule and before the Liberation war. Documentation requires at least three people. One takes the measurement, one writes and one takes photographs. We later draw sketches from looking at the photographs. We should visit Old Dhaka more to understand what it holds for us. If we can go to Taj Mahal in India, why not Lalbagh Kella?” says Sonia Islam, Architect who recently completed her bachelors from BRAC. A volunteer engrossed in her work. “People who live in the heritage sites should know the importance of them. The stairs of some of the buildings are made of Shegun wood, which is very expensive, but people who live there don't care and know. I worked with USG and helped them create 3D images for the exhibition. Also I explained the importance of these heritage sites to the people who live there at the exhibition where they were invited,” says Durdana Parvez, Architect. “When I first came to Dhaka in 2006, the old buildings and heritage sites of Old Dhaka attracted me. I used to roam there fascinated. I started working with Taimur sir and did 3D visualisation for them. History of Old Dhaka was vague to me, until now. I went there and got my practical education,” says Kumar Biswajit Devnath, 5th year, Department of Architecture, BUET. 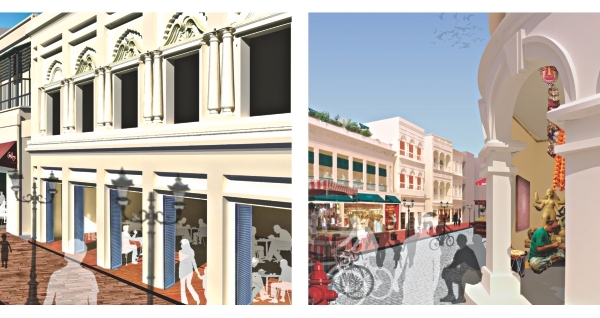 3D restoration of the heritage sites in Puran Dhaka- done by the USG team. “In 2009, volunteers of One Degree Initiative did the renovation of thirty year old library of Pogose School in Shakharibazaar. Pogose is the first private school in South Asia. It's a relic, and the library was abandoned. We went there and cleaned the shelves, dusted the books and categorized them. Sunbeams School and AISD donated a lot of books. In 2010 we organised a cultural camp with three schools in Old Dhaka. We taught students drama, art and dance. We rented a stage at Lalkuthi and eventually did a show with all these kids. The programme itself was a campaign itself, about education and culture,” says Mushfiqur Rahman, Advisor, One Degree Initiative and BBA undergraduate student, AIUB. Students learning about heritage sites. 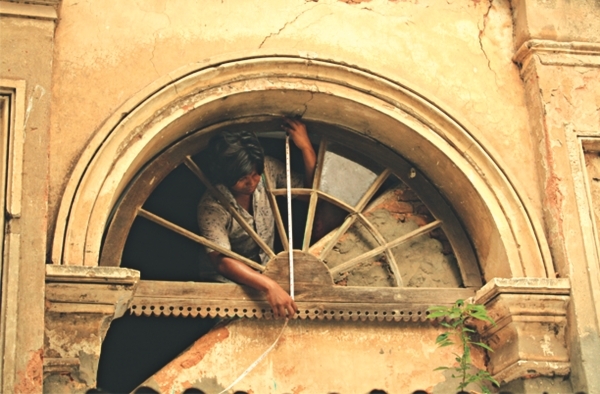 The heritage list that was created in 2007 listed a total of 3000 historical sites in Puran Dhaka. Many of them have been demolished. Many still withstand. And it is our responsibility to protect them, because there are other alternative ways to generate electricity and accommodate people other than building dams and demolishing history houses for 'modern', urban apartments. There are solutions those are more democratic, economically viable, environmentally sustainable and friendly and less cruel. The youth are working to find and implement such solutions. It is never too late to join them.